Turn your t-shirt inside out. Since feathers are inherently curved, decide which way you would like them to fall; I wanted my feathers to curve inwards to my body, rather than flick outwards. Glue the appropriate side of the feather trim’s hem. 2. 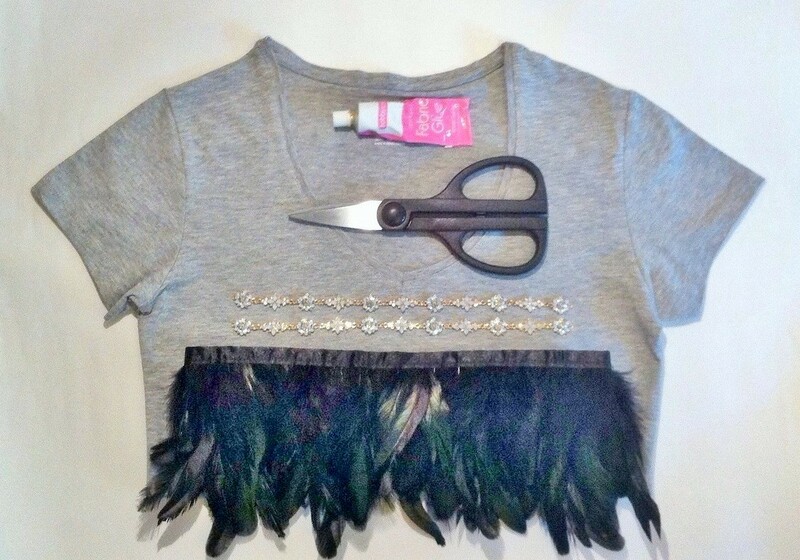 Press your glued feather trim onto the hem of the inside out t-shirt, depending on the length of feathers you want to be exposed. I placed the hem of the trim slightly above the hem of the t-shirt. Apply pressure to help the glue bond to the fabric. 3. After allowing the glue to dry, turn the t-shirt inside out, so it appears as it would if you were wearing it. 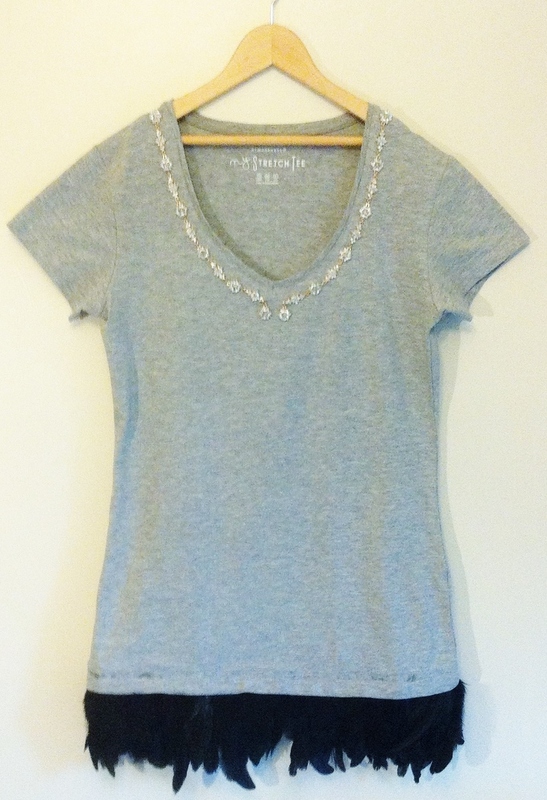 Place your crystal trim around the neckline. When you are satisfied with the placement, glue each section down individually, applying pressure to help the bond. My trim was articulated, so I left the two lowest sections free to move. Once the glue has dried, you are able to showcase your t-shirt! I recommend that you hand wash this inside out, keeping the feathers out of the water.